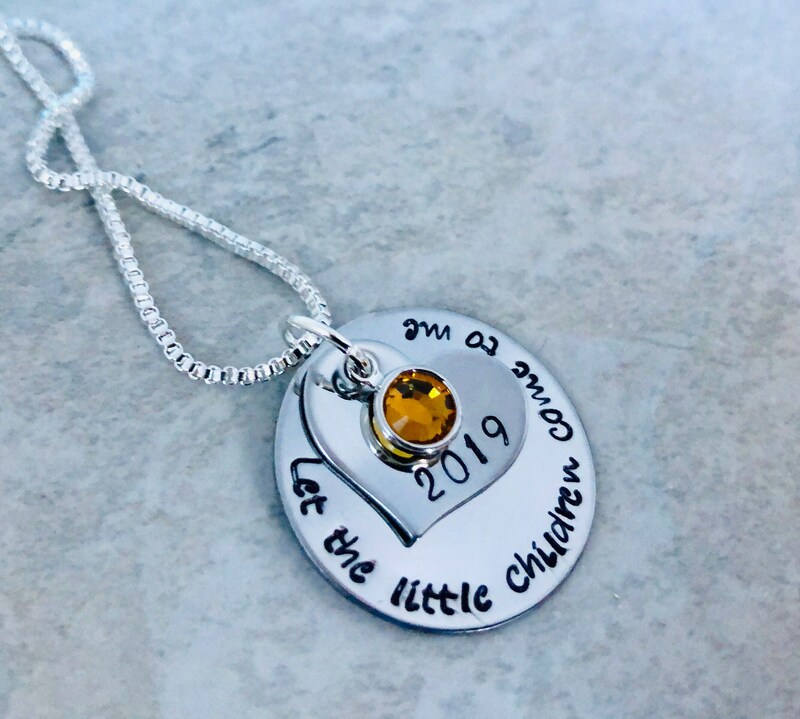 This sweet necklace makes a wonderful gift for a mom, grandma, or a special person who works with children. 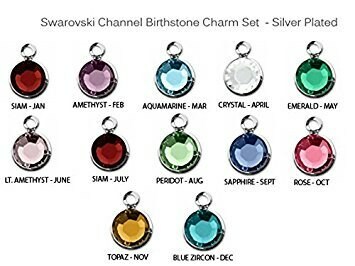 Heart charm can include a name or date. 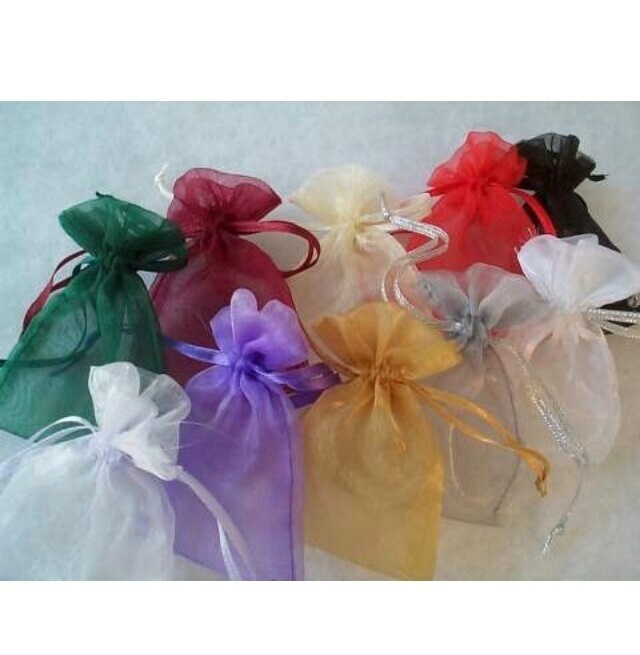 Birthstone crystal in your choice of color is included. Please use the drop down menu provided to select your color/month. 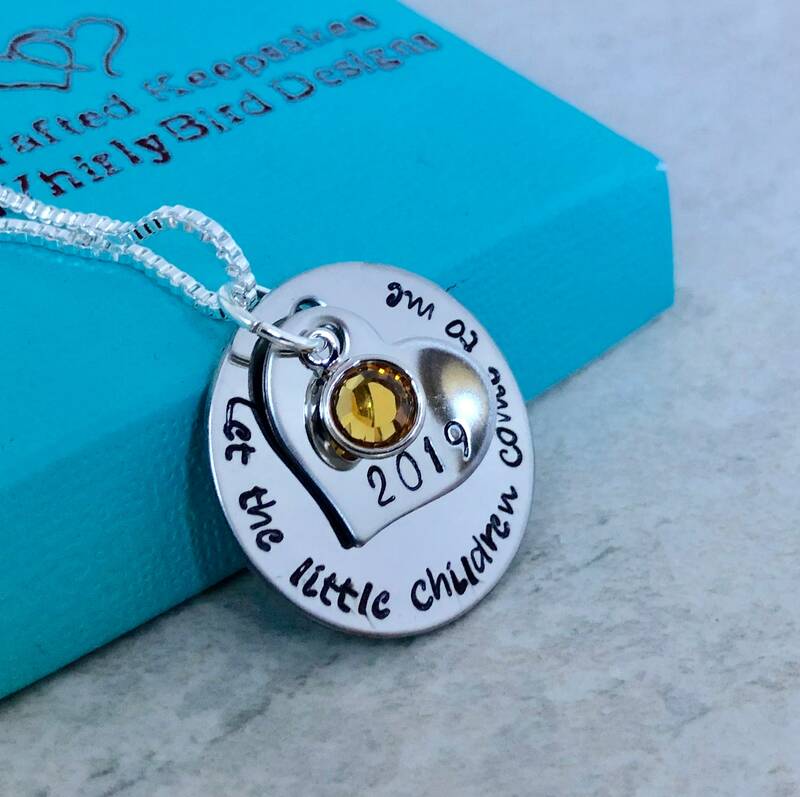 TO PERSONALIZE: Please use the notes section provided to request the name or date you would like to have included on your necklace. 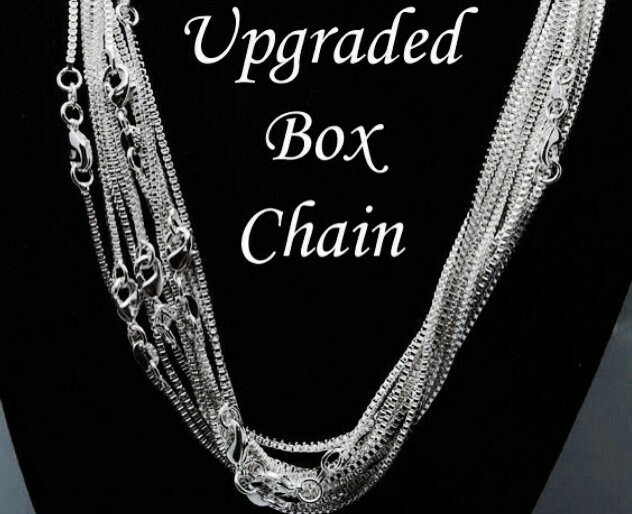 Please use the drop down menu provided to select your chain choice.